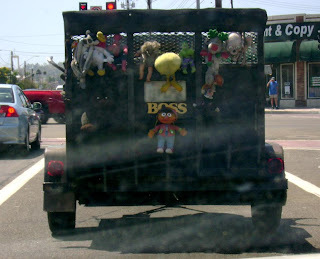 I was driving down Arlington Ave. when I spotted this trailer - by the time I was able to take the picture, I was in Lomita. I took the photo through my windshield, while driving a stick shift, steering and trying to focus. My bad.